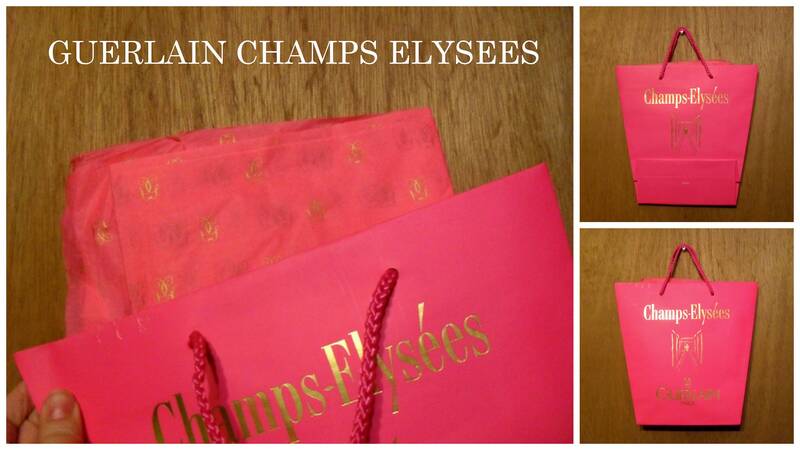 ---Champs Elysees by Guerlain pink paper shopping bag with matching pink Guerlain G logo tissue paper from 1997. 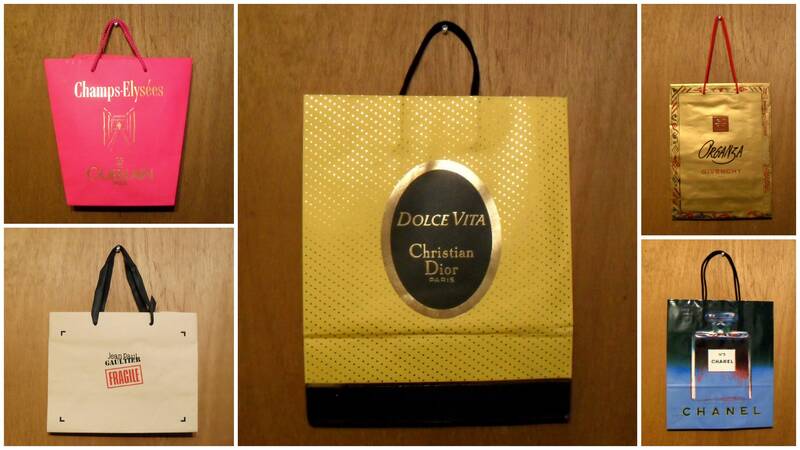 The size of the bag is approximately 10.5" long x approximately 11" wide, not including handles. 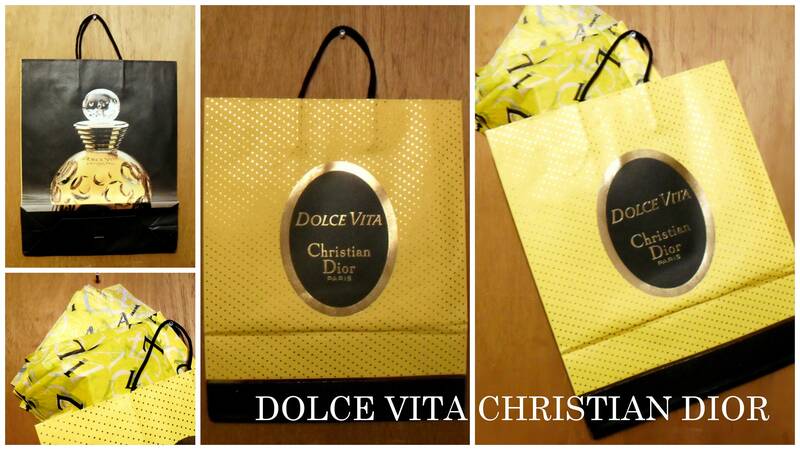 ---Dolce Vita by Christian Dior yellow paper bag with matching yellow Dolce Vita branded tissue paper from 1994. The size of the bag is approximately 16" long x approximately 13" wide, not including handles. Has rip. 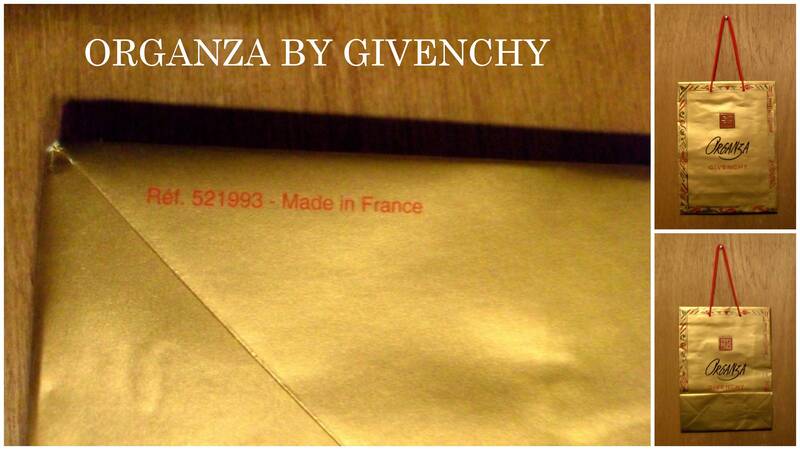 ---Organza by Givenchy metallic gold paper shopping bag from 1996. 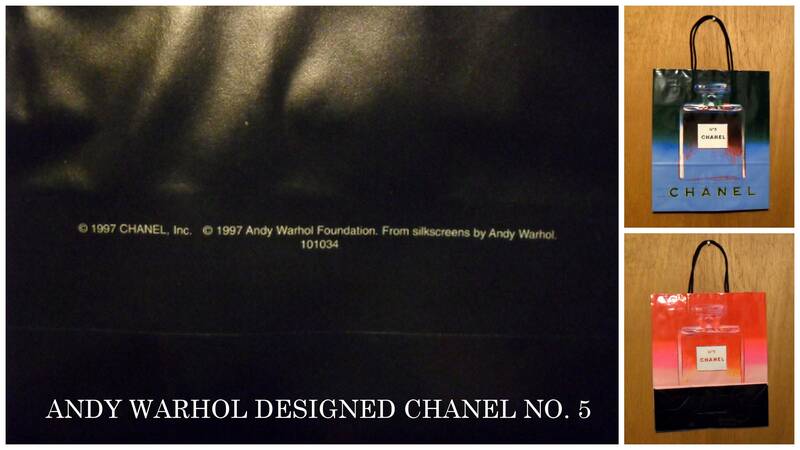 The size of the bag is approximately 12.75" long x approximately 9.5" wide, not including handles. 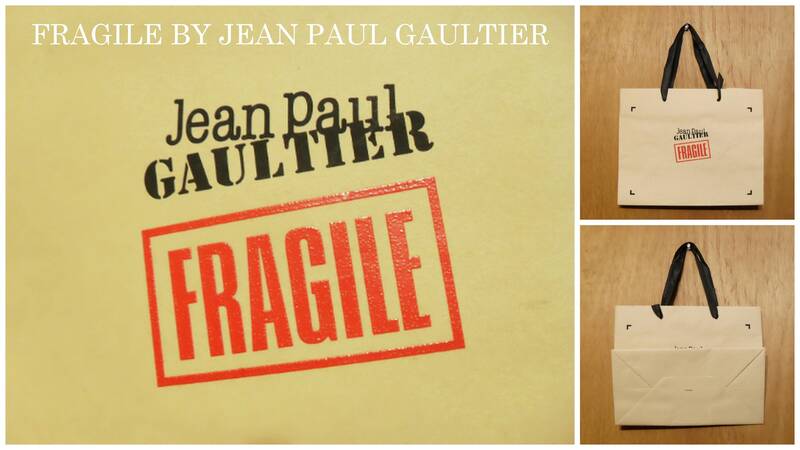 ---Fragile by Jean Paul Gaultier shopping bag from 1999. The size of the bag is approximately 8" long x approximately 10" wide, not including handles.